Vladimir Putin should be arrested for war crimes and tried by an international tribunal in the Hague, Sergey Grigoryants says; but even if that happens, Russia will remain a threat to Europe until it undergoes fundamental changes – and such changes will happen only much later than they will in Ukraine. Grigoryants, who attracted international attention as a Soviet dissident and for his insistence in 1999 and 2000 that Putin’s rise to power represented “the revenge of the KGB,” now heads a Russian Coalition in support of the International Court where he hopes Putin will ultimately be tried and found guilty. In the course of a wide-ranging interview with Roman Chernyshev of Kyiv’s Liga.net portal that was posted online yesterday, Grigoryants discusses why he has consistently held this view of Putin and Russia and what he expects for Putin, for the Russian Federation and Ukraine, and for Moscow’s relations with Europe. Grigoryants begins by pointing to the horrific impression that the numerous Victory Day parades, not only in Moscow but the 26 others across Russia, made on him, one of it being a country of international isolation, with “constantly growing aggression and even more paranoia,” trends that do not augur well for the future. Crimea by law is “the territory of Ukraine, and one must not violate laws,” Grigoryants says, and he points out that he believes that even though “Sevastopol is a genuinely Russian city” and even though his own grandfather died in its defense during World War II. But that is no basis for illegal actions. Because of what he has done, Putin must be arrested and sent to the Hague where he should be held responsible for his war crimes. Among those who did so, he says, are the members of “the liberal and democratic elite of that time,” including liberal media outlets like NTV and Ekho Moskvy, who showed themselves then totally unconcerned with the fact that by their uncritical support for Putin initially,they laid the groundwork for the danger facing them now. Grigoryants points out that he has been warning since the 1990s that the KGB would be coming to power. “Everyone laughed and said that there isn’t any KGB anymore. People abroad also laughed. And now it seems to them that the main thing is to get rid of Putin” and all will be well. But getting rid of any particular leader is not enough as past experience shows, Grigoryants continues. “Even after Putin Russia will remain a danger for Europe and the entire world if we do not learn the lessons of the past” and if Russians and others don’t recognize that some of those saying the right things now bear responsibility for what is happening now. Putin is far from alone and from from being the dictator many imagine: he is a link of a single KGB chain. Given how dangerous Putin’s course is, it is not unthinkable that someone in his entourage will “help Putin leave this life,” as it appears may have happened with Andropov too, Grigoryants says. Indeed, it is more likely because in contrast to his Soviet predecessors, Putin is defending not just his power but his life. A revolution, on the other hand, is currently “impossible” in Russia. Its people are “exhausted and befuddled,” and consequently, Putin doesn’t need to fear that as much as he needs to fear a palace coup. But if one happens, that is not likely to change the reality of Russian power even if it changes its image for a time. 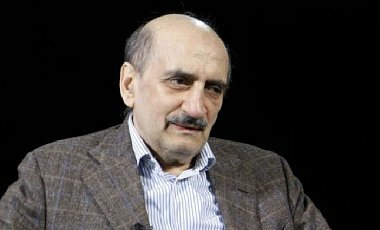 Grigoryants says that in the future, Russia could easily break up and be left within borders of medieval Muscovy; but he argues that this won’t be the result of protests but rather the actions of local elites who will cease to be loyal to Moscow as soon as Moscow ceases to provide them with the assistance they need. As for Ukraine, the Russian dissident says, it faces a difficult fight with Russia, but there is reason for optimism because Ukraine has made the choice to become a European country, something Russia has not yet done. And consequently, Ukraine will become one far sooner than Russia: indeed, in the best case, it will show Russia the way.